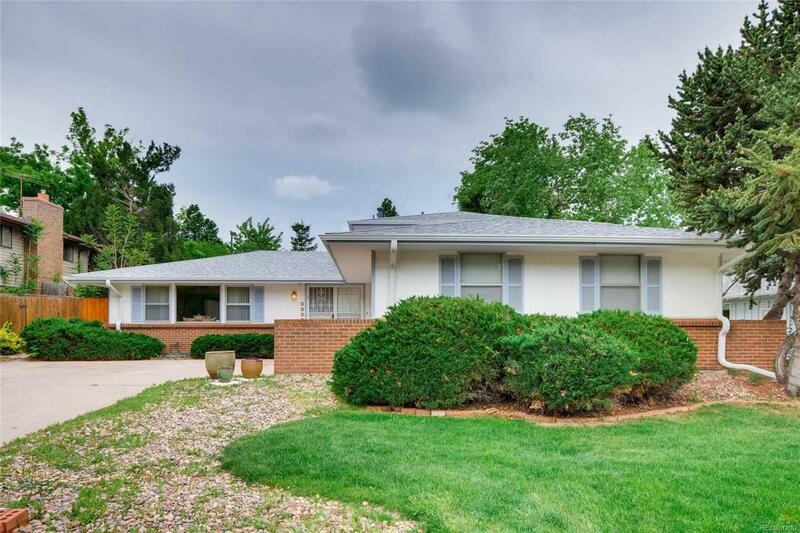 Location, Location, Location, walking distance to Wallace Park, Goldsmith Gulch, DTC, grocery stores and great restaurants, I-25, and Cherry Creek Reservoir. It's all right here for your enjoyment. This home is warm and inviting and has unique wood flooring that brings you into this fine family home. The living room and dining room is vaulted and very bright. The feel good kitchen has an eating space and the family room is perfect for family living. The back yard is magic with it's huge deck and mature landscaping. It is like living in a park. Offered by Mb Hume & Company.